These wondrous resin and stone clam shells have been created using state of the art technology to achieve the look and feel of their endangered counterparts. Resin stone clam shell. There is something about nature’s bounty that makes you want to incorporate it seamlessly into your home. 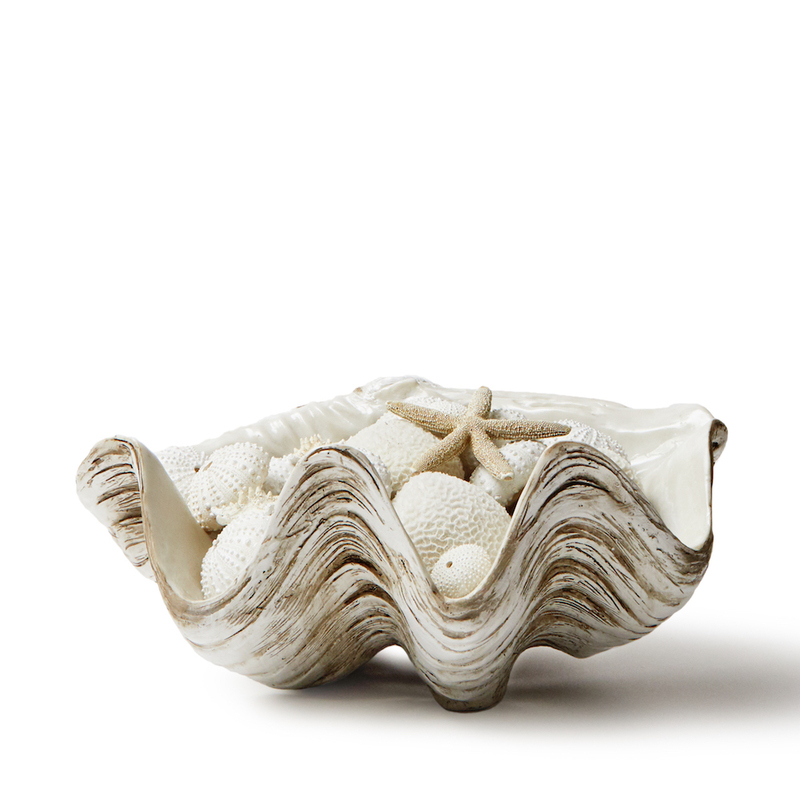 For thousands of years coral reef treasures, giant clams, corals and shells, have been reclaimed as objets d’art. This is because their infinite variety in shape, colour, and pattern, timelessly inspires. Coral reefs worldwide, however, continue to suffer and are in dramatic decline. These wondrous resin and stone clam shells have been created using state of the art technology to achieve the look and feel of their endangered counterparts. In depth research has been conducted, in conchology, using underwater cameras to find the tight composition of the corals. With this, a specialist community of artisans have been hand picked to craft each design into these extraordinary life like creations. These beautiful sea inspired resin stone clam shells will add organic elegance to your home, without exploiting our oceans one little bit. A stunning and versatile product: from fruit bowl to champagne bucket, or quite simply a stand alone and striking objet d’art. This product was also Meli Melo handbag designer, Melissa Del Bono’s top picks – the . Read her story here.